WorkSafe contacted Ladoo to create a Victorian Injury and Claim Support app, or VicClaim, a simple and easy-to-use mobile and tablet application to help those navigating their way through the compensation claims process. We worked closely with WorkSafe during the analysis phase to understand what user requirements were needed from an internal and external perspective. 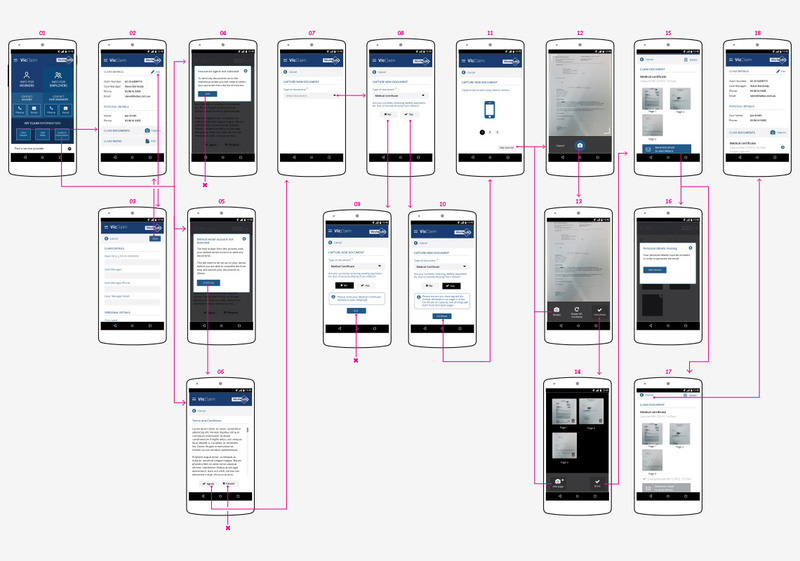 The application build had a tight timeline (four weeks), needed to be responsive and compliant with a variety of devices and the user experience had to be accessible and easy to follow. It was important that Ladoo undertook an existing codebase review to understand the underlying complexity of the project. Our developers refactored the existing HTML / CSS Software Development of supporting framework elements, including the Cordova / Ionic current release configuration, using GitHub to collaborate with internal development resources. Our team ensured the development upgrade and establishment ran smoothly and to agreed timelines, this was especially important due to the quick turn-around required. We were able to leverage off previous experience delivering similar applications to ensure product testing and user experience elements were correctly refined. The VicClaims application was created to address public need and as a result, Ladoo ensured the testing report included accessibility, a quality assurance report, Ladoo device lab testing, Apple App Store and Google Play submissions.